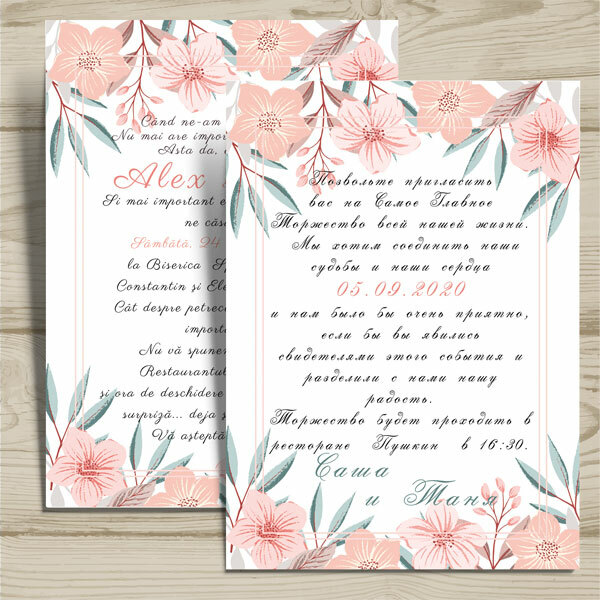 Beautiful wedding invitation template in Microsoft Word format. Immediately after payment you will be given a link to download. You can easily change / add text, font size, text color, both in Russian and in Romanian.